【Children’s Heartless Summer Series Paintings】 I know the sound is called summer, the summer is hot, just go to play with water! Cool summer - little hippo, little white bear, jump into the water to wash, Go swimming in the water with the fish, and the summer heat will go quickly. The brushstrokes of childlikeness are like splashes of water, which makes the summer more cool. Let the little hippo and little white bear have a feeling of bathing~! 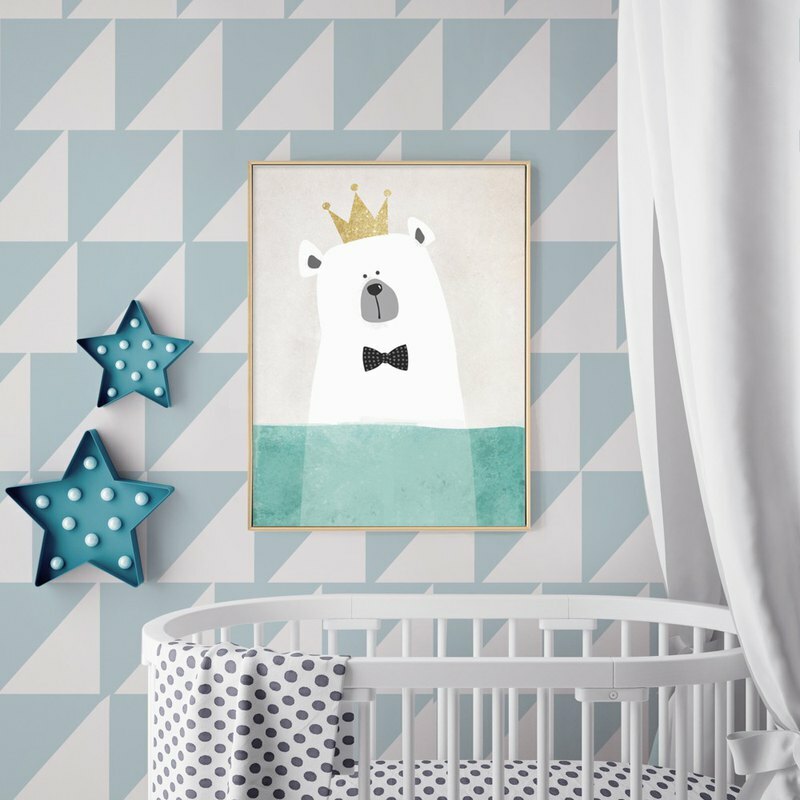 —— Product specifications: - Name: White bear soaking in water - Printing: Digital photographic quality fine output (using Japanese Muto output machine, double four-color CMYK large picture oil canvas output) - Decoration method: This work contains frames and cannot be changed. - Inner and outer frames: pine inner frame, PS imported coated frame. - Backboard: This work contains a back version, which is a high-density backboard that protects against moisture and insects. - Canvas: A high-pound special canvas with a cloth texture and a subtle color. - Hook: A lanyard is attached to the back, and any track can be used. —— - 30 x 40cm paintings Frame weight: 1 kg Frame size: 32.6 x 42.6 x 3.8cm - 42 x 60cm paintings Frame weight: 1.6 kg Frame size: 44 x 62 x 3.8cm - 50 x 70cm paintings Frame weight: 2 kg Frame size: 52 x 72 x 3.8cm —— - If there is a purchase, there is no hanging picture frame hanging buckle: If there is no need to hang on the wall, you can purchase a 3M frame hang buckle, which is easy to operate and does not hurt the wall. The frame hang buckle has black and white colors, and can be used to tell us what color we need. —— There are two kinds of copyrights in the "Pineapple Painting Institute": 1. Legally authorized gallery of foreign cooperation 2. The company's designers draw artwork 100% guarantee that all production paintings are legally sold, please feel free to purchase.